RICHMOND, VA (WWBT) - A second Virginia man is $1 million richer after matching five numbers in a December drawing of the Powerball. 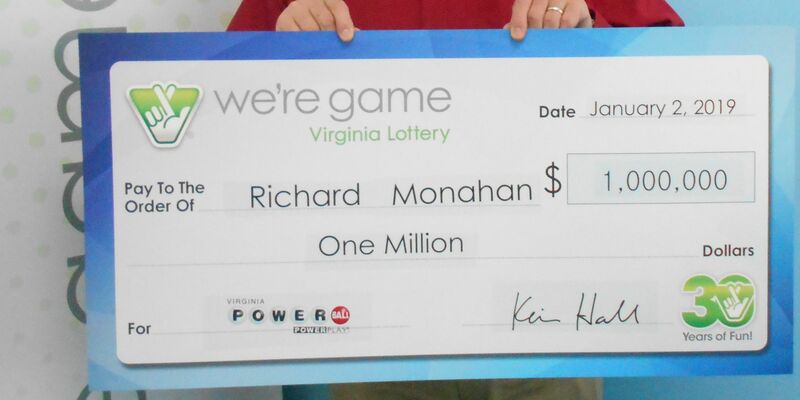 “I had no idea what he meant,” Monahan said in a release from the Virginia Lottery. Monahan, who is from Poquoson, is the second Virginia man to claim $1 million in the Dec. 29 Powerball drawing after a Suffolk man was announced as a winner earlier this month. The both match the five numbers of the drawing 12-42-51-53-62 and missed the Powerball, which was 25. Monahan owns a construction business and said he has no immediate plans for the money.